You’ve heard that breakfast is the most important meal of the day and I find that to be oh so true. History has shown me that breakfast, unlike other meals, has the profound ability to set my day right. A good breakfast that is nourishing and satisfying can do wonders for my concentration and task-completing abilities for the day ahead, whether I am at my internship or in a full day of class. This power can go both ways, however – a bad breakfast can throw off my whole day. Recently, I’ve gotten into a breakfast rut. I love breakfast foods, but I’ve been on a rotating schedule of eggs, oatmeal and peanut butter toast, all delicious, of course, but a tad boring after a while. I was looking to switch things up, and after seeing avocados for breakfast on blogs a lot recently, I thought I’d give it a shot. One of my favorite things to eat as a light lunch in the summertime is avocado toast. It’s totally simple; you just mash avocado with some good dijon mustard, cracked black pepper and sea salt, spread it on toasted bread, and voila, you have one of the most delicious things on this planet. 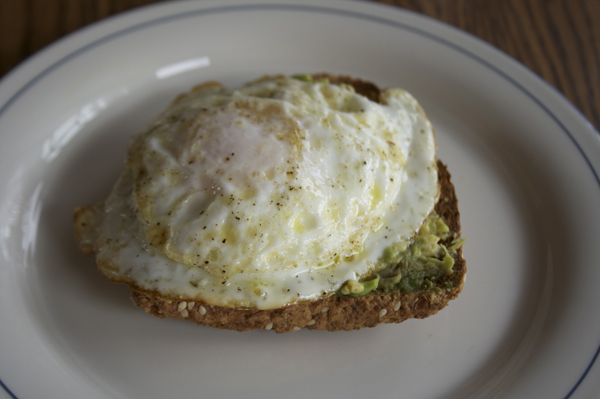 So I decided to repurpose my avocado toast and make a breakfast version, and let me tell you, it did not disappoint! First, toast a slice of bread – preferably crunchy and fresh, but just about any piece will do. 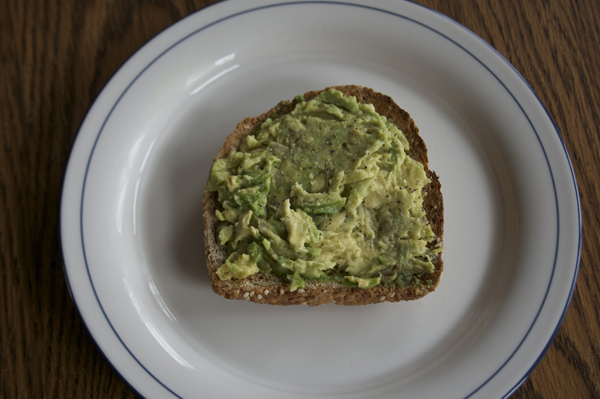 Scoop out a generous amount of avocado (depending on your hunger level) and mash it onto your toast. Feel free to mix in some good mustard and sprinkle with salt and pepper. Now fry up an egg until it is just cooked, being sure to keep the yolk runny. Place on top of your avocado toast when it’s done. 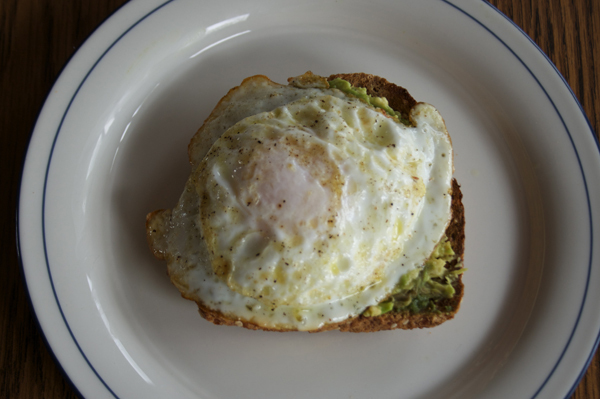 Dig in with your knife and fork and let the runny yolk mix with the avocado. Enjoy with your favorite breakfast beverage – maybe some fruit on the side – and go conquer your day! Katie Brossman is a senior at Johns Hopkins University where she studies creative writing and spends an inordinate amount of time “procrastibaking” for her friends. Her favorite condiment is sriracha and she enjoys exploring the Baltimore restaurant scene on the weekends. Yummy looking. I.ll give it a try!